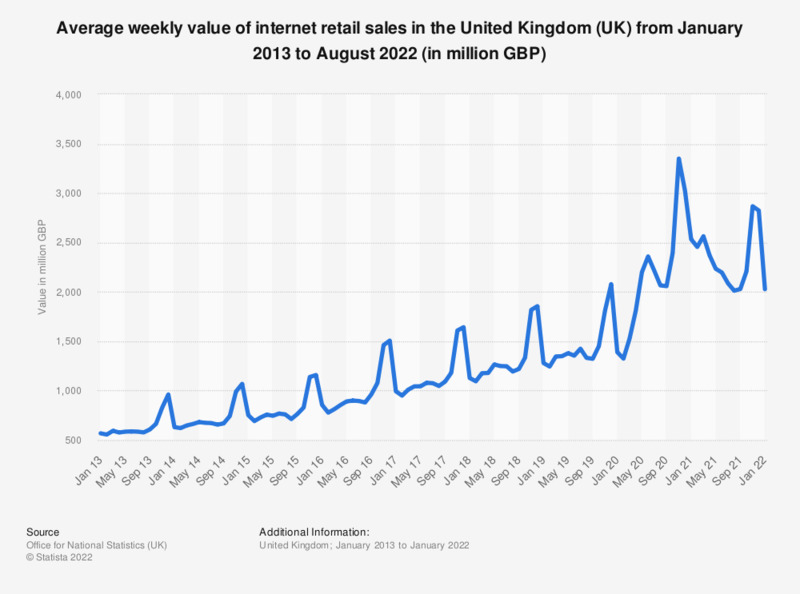 This statistic displays the average weekly value of internet retail sales monthly in the United Kingdom (UK) from January 2013 to April 2018. In April 2018, the average value reached approximately 1.17 billion British pounds. * Values are non-seasonally adjusted.